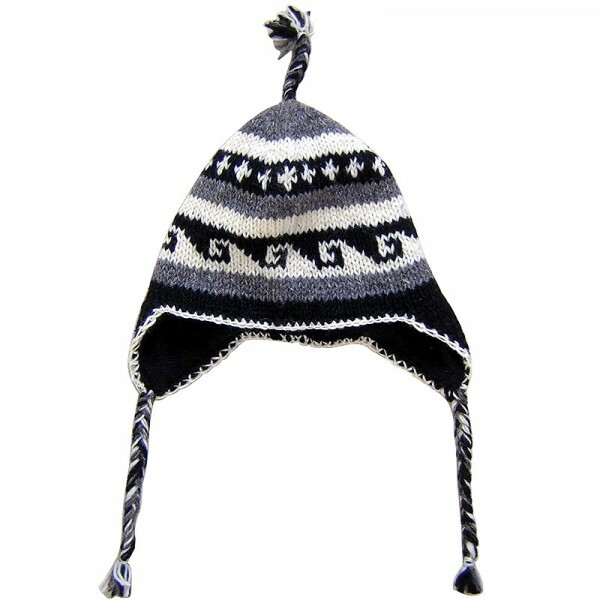 Wave design, grey, black and white color mixed woolen ear hat with polar fleece lining. The actual weight of this item would approximately be 150 grams but the weight mentioned below is used for the volume based shipping. Since the hat is entirely handmade; No two are alike, hence there can be slight variation in the given measurement.